I'm feeling like an empty-nester this week. 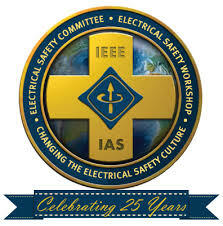 Most of our team is away attending a milestone ESW event hosted by IEEE for the institute's 25th anniversary of the Electrical Safety Workshop. They're probably too busy to read HUMPDAY, so needless to say, we'll be hosting a ping pong tournament in the back while the supervisors are away! IEEE (or Institute of Electrical and Electronics Engineers for short) is known as: The world's largest technical professional organization for the advancement of technology. The IEEE ESW is dedicated to changing the electrical safety culture, which is one of our core values here at Grace. Topics include: hazard phenomena, inherently safer design, work practices, hazard mitigation and electrical safety management. These meetings are open to anyone who is interested in topics of electrical safety. If this sounds like something you'd like to attend, check out their conference schedule for more information. Speaking of learning new things; Grace will be sponsoring free live webinar sessions at two separate times on Thursday, February 9, 2017. Please register for the webinar slot that best suits your schedule. 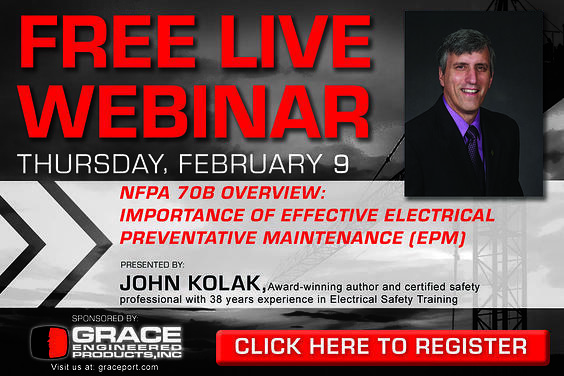 The webinar will be followed with an interactive Q&A session with John Kolak.